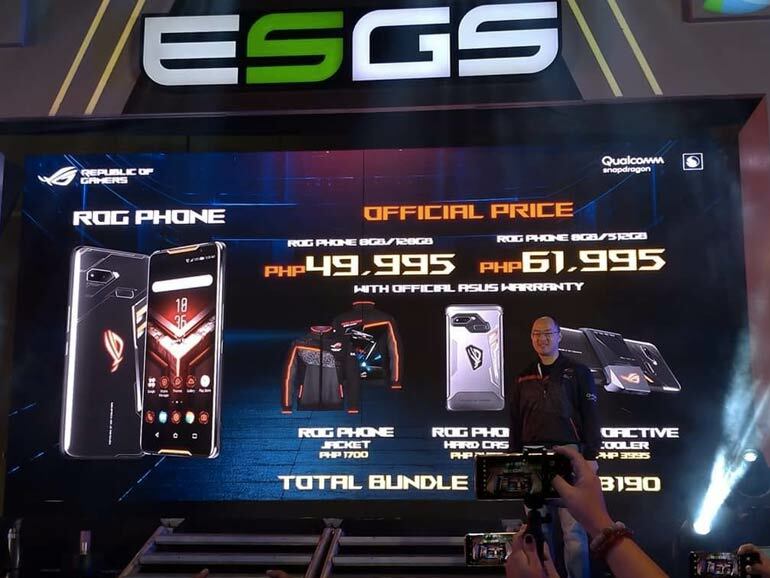 ASUS Philippines ended its ESGS 2018 run with the announcement of one of the year’s more interesting smartphones, the ASUS ROG Phone. The ROG branded gaming phone is now official in the Philippines and is now open for pre-orders until November 8, 2018. The handset is priced at PHP49,995 for the 8GB/128GB model, and PHP61,995 for the 8GB/512GB model. 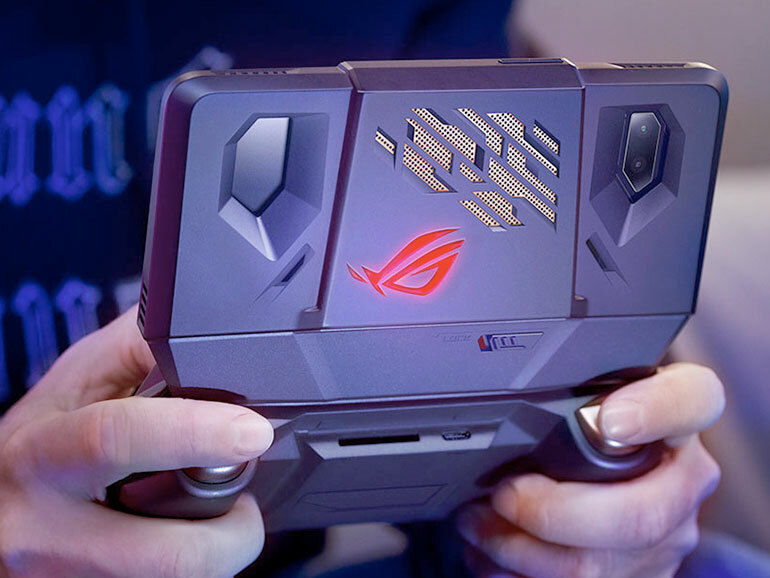 ASUS ROG Phone features a 6-inch AMOLED 18:9 display with a 90Hz refresh rate, a 2.96GHz octa-core Qualcomm Snapdragon 845, 8GB LPDDR4X RAM, and up to 512GB UFS 2.1 storage. 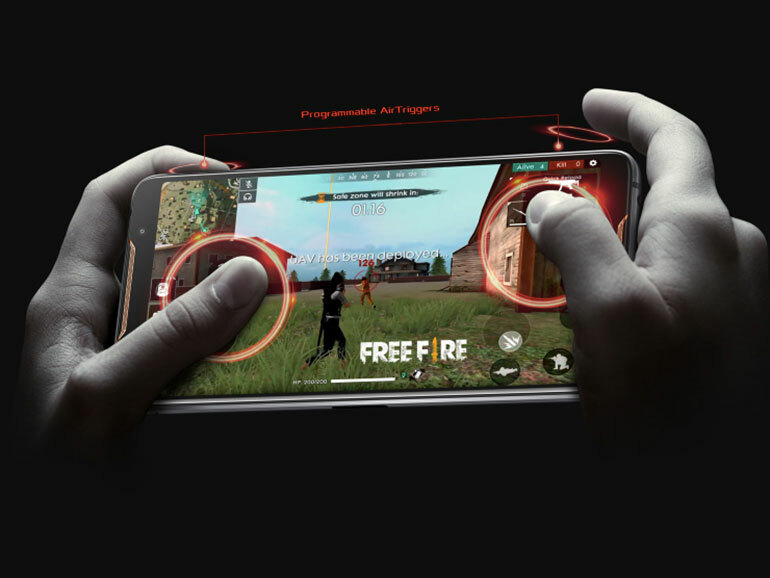 The phone comes with Ultrasonic Air-Triggers, a unique feature where players can use the phone’s edges as shoulder buttons, just like you would a regular controller. It also has an in-built vapor cooling system, dual front speakers, and a large 4,000 mAh battery. The handset has a host of gaming accessories made for it. Gamers can choose between the classic gamepad attachment, the AeroActive Cooler, the TwinView dock, and a DeX like dock station. The ASUS ROG Phone is now available for pre-orders until November 8, 2018. It has an official price of PHP49,995 for the 8GB/128GB model, and PHP61,995 for the 8GB/512GB model. It will be exclusively sold at ROG concept stores. Each unit comes with a free AeroActive Cooling accessory, ROG Phone case, and a ROG jacket. If you’re looking for the full ROG phone gaming experience, an accessory bundle is available with a price of PHP108,465 for the 128GB model and PHP120,465 for the 512GB model. 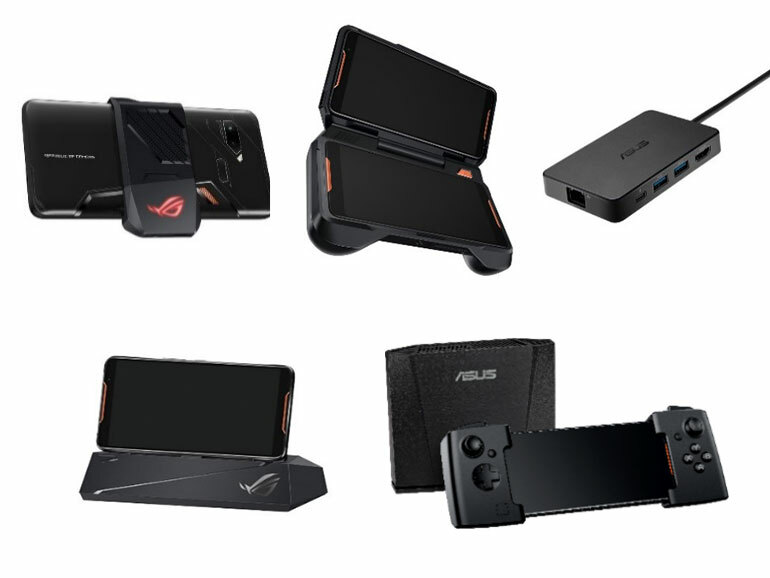 It includes the Mobile Desktop Dock, the Gamevice controller with WiGig receiver, the PC Dock, a ROG suitcase, and the TwinView Dock.